Justice Secretary Michael Gove should abandon his bid to become Tory leader, former chancellor Ken Clarke has said. Mr Gove, who dramatically switched his support from Boris Johnson on Thursday and decided to stand himself, will set out his vision for the country later. But veteran Europhile Mr Clarke said Mr Gove’s “bizarre manoeuvrings” disqualified him from being PM at a time of “grave crisis”. Leadership candidate Liam Fox has hit out at “politics of the student union”. In other developments, Home Secretary Theresa May has won the support of two more cabinet ministers – Michael Fallon and Patrick McLoughlin – and the endorsement of the Daily Mail for her candidacy to succeed David Cameron. So far, she has received more pledges of support from Conservative MPs than Mr Gove, Dr Fox or the other two candidates – Stephen Crabb and Andrea Leadsom. Laura Kuenssberg: Gove and Johnson – what happened? The five contenders have until Tuesday to build support among the 329 Conservative MPs before the first round of voting. The MP with the fewest votes will be eliminated, one at a time, until two remain. They will then go to a vote of the wider party membership. The winner of the contest is set to be announced on 9 September. The contest was thrown into confusion on Thursday when Mr Gove said he could no longer support the former mayor of London and was throwing his hat into the ring – a move met with incredulity by the media and many of Mr Johnson’s supporters. Dominic Raab, a former supporter of Mr Johnson who has now switched his support to Mr Gove, said to outsiders the move would look “ugly, horrific and Machiavellian” and insisted Mr Gove and others had tried to make their alliance with Mr Johnson work. He told BBC Radio 5Live that Mr Gove was now the “change candidate” in the contest, and MP best-placed to “seize the opportunities” offered by Brexit given his track record of “reforming zeal” and also his ability to deliver. But Mr Clarke said the justice secretary should now reconsider his shock decision to enter the contest, saying he “would all do us a favour if he stood down now and speed up the process”. “I do think one of the first priorities for a leader of a party and certainly a prime minister is that you should have the trust, as far as possible, of your colleagues,” he told Radio 4’s Today. 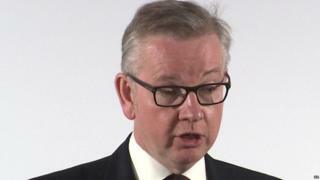 Mr Gove had been an outstanding cabinet minister, he said, but his conduct in recent weeks had not been “encouraging”. “This kind of public performance is more suitable for the student union than it is to be prime minister of this country at a time of grave, grave potential crisis,” he added. Asked whether he was now backing Mrs May, he said she was “in the right class of contender” but he wanted to hear from her and the others how they would executive the process of leaving the EU. Mrs May has been boosted by the support of the Daily Mail, which told readers on its front page “it must be Theresa,” and said “what the country needs most is a solid and steady hand on the tiller”. Also endorsing Mrs May, defence secretary Michael Fallon said she was the right person to steer the country through “the serious challenges we now face”. Liam Fox said the focus should squarely be on how the UK negotiated its exit from the EU and got the best possible deal, saying anything else was a serious distraction. “We’re in the process of electing a prime minister who will actually take us out of the European Union, and yet we seem to be permanently distracted by what can only be described as the politics of the Oxford Union in recent days,” Radio 4’s Today. Mr Fox said Whitehall needed to be overhauled to reflect the post-Brexit environment, suggesting there was a case for the Department of Business and Department for International Development to be merged inside the Foreign Office. And Mrs Leadsom said that while Mrs May was a “totally brilliant home secretary”, she believed the next prime minister should be someone who “really believes that the UK would be better off once we leave the EU”. “The clear priority is to deliver on the referendum,” the energy minister told ITV’s Good Morning Britain.